Discussion in 'Performance and Tuning' started by Tacoma_CT, Nov 4, 2007. Sorry haven't heard anything about those. It looks impressive, was there any specs that came with it giving you an estimated gain spec? Definitely wanna know when you get that video, want to know exactly what you are talking about. I looked at these in comparison with K&N and Volant and i like what i have heard about the TrueFLow. We should get some posts from people with each setup regarding their experience for those of us looking around. I like the XDi's look. Different from the usual K&N. 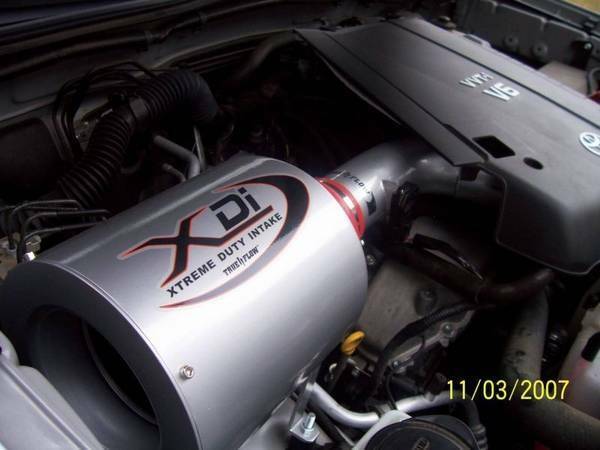 So you really like this intake? How long did it take you to install? I just got a Tacoma last Sunday and I want to put on an intake first. My brother has the K&N on his Taco but after reading about everyon else's experiences I don't really want that one. I just watched that infomercial where they put the Trueflow up against the paper and gauze filters and it looked awesome. Any thoughts on how to get this beast in a 2003 2.7l/4cyl? Or is that a really bad idea? So is it loud when you floor it?? Where did you order your intake from? I ordered mine from realtruck.com back on 11/10 and they still haven't shipped it yet !!!! I'm getting really angry. If they don't ship it by tomorrow I'm calling to give them an ear full. What is the housing made out of? Its prob just the paint, but it looks metal to me. 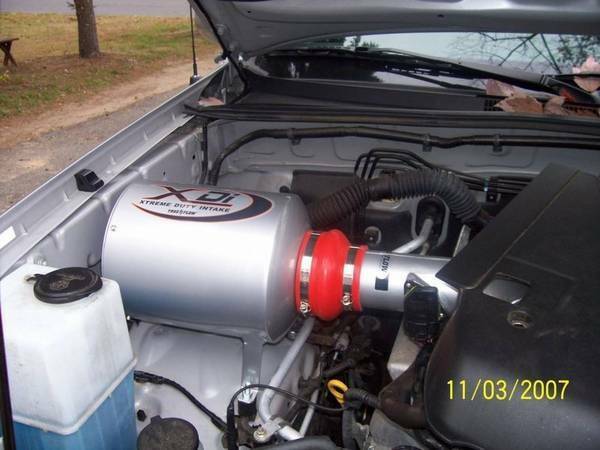 Dont want to have to worry about heat soak if im investing that much money into the intake. How do you like your Borla exhaust? Does it sound good? I have been looking at exhaust systems, and Borla is at the top of my list. I ordered mine from realtruck.com and got it for about $280-295 shipped. I got a discount because I found a code online that gave me an extra $33 bucks off . This si great, give me somthing to search for and install f or feed back to the masses. Do you guys have any heat soak problems with it being metal? Big Guns I don't know because I haven't received mine yet. But what makes the True Flow different is the sponge filter. Go on Youtube and search "True Flow" to watch their video when they compare it to K&N and a regular paper filter.